At long last. 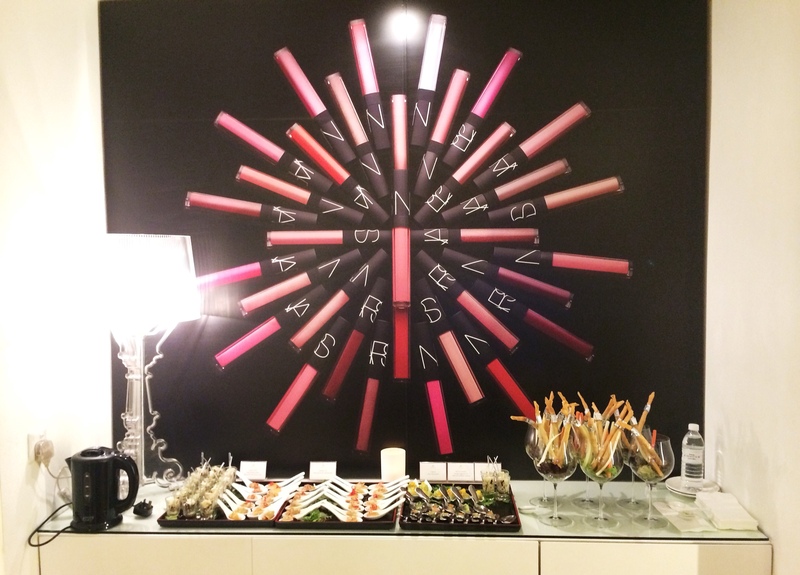 here’s that Nars review I promised a while back! The makeup reviews have been taking a back seat as I have been sick on n off as well as travelling quite a bit since the arrival of summer (which in asia is identified as the insanely hot months!). However apologies aside, I hope you find this review useful and interesting. So today I want to focus on the Lost Coast eyeshadow duo that released for summer. I think this was the more safer of the two (as I don’t see too many of you rushing to the counters to get your hands on the green/lavender duo, Tropical Princess). But FYI, between the two, Tropical Princess was the more pigmented and smoother when I initially swatched these. And I really seriously believe I NEED Tropical Princess in my stash! 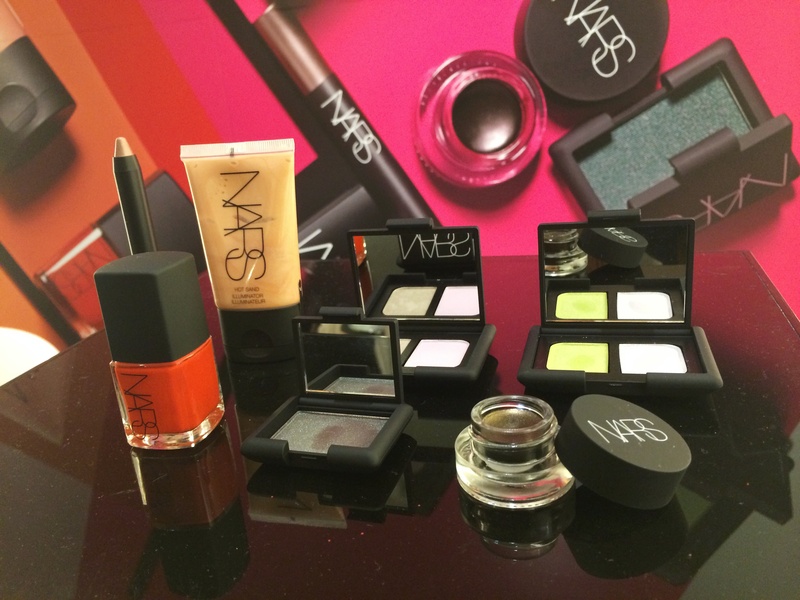 First things first, here’s a look at the summer 2014 goodies! Now back to our post! Lost Coast consists of a pale neutral lilac (satin finish) and a warm pewter shade (shimmer finish). The pewter did swatch smoother and was very well pigmented, achieving full opacity in a single stroke. 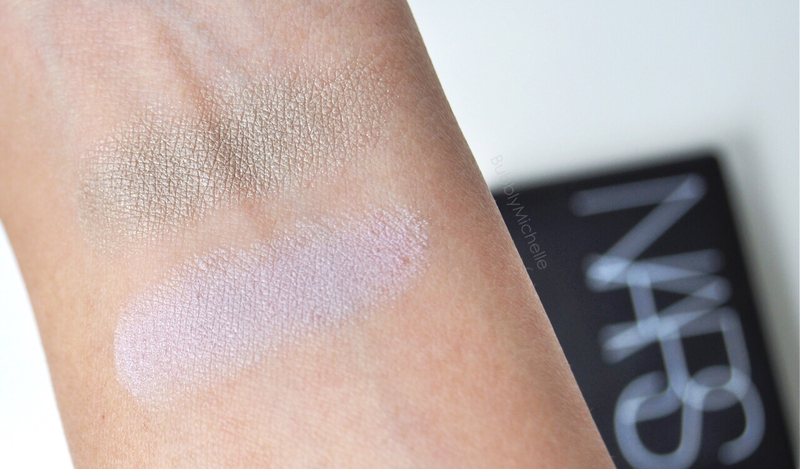 The lilac on the other hand felt slightly powdery when swatched. However it must be noted that during application there was no noticeable powderiness and it went on smooth with no patchiness or fallout (I did use a primer though, as always). Personally, I feel this particular duo would look even better on lighter complexions and also that the colours looked fresher worn separately without being mixed, as the pewter tended to ‘muddy up’ the lilac shade. So I decided to split the two; wear the lilac as a wash of colour all over my lid and do a bit of lining on the bottom lash with the pewter to define the eyes. I didn’t use liquid liner for this looks as I wanted to keep the lilac as the main focus . However I used a pencil liner, and drew very close to the lashes to make them look fuller. Here’s a list of the products I used. As you may have noticed, I did sneak in some of the Nars glosses (which I plan to review soon) into this look too, so you get a feel of how they look worn. *This was Pricilla blended and tamed down with Tasmania though, and not at it’s usual eye popping, fabulous full coverage. 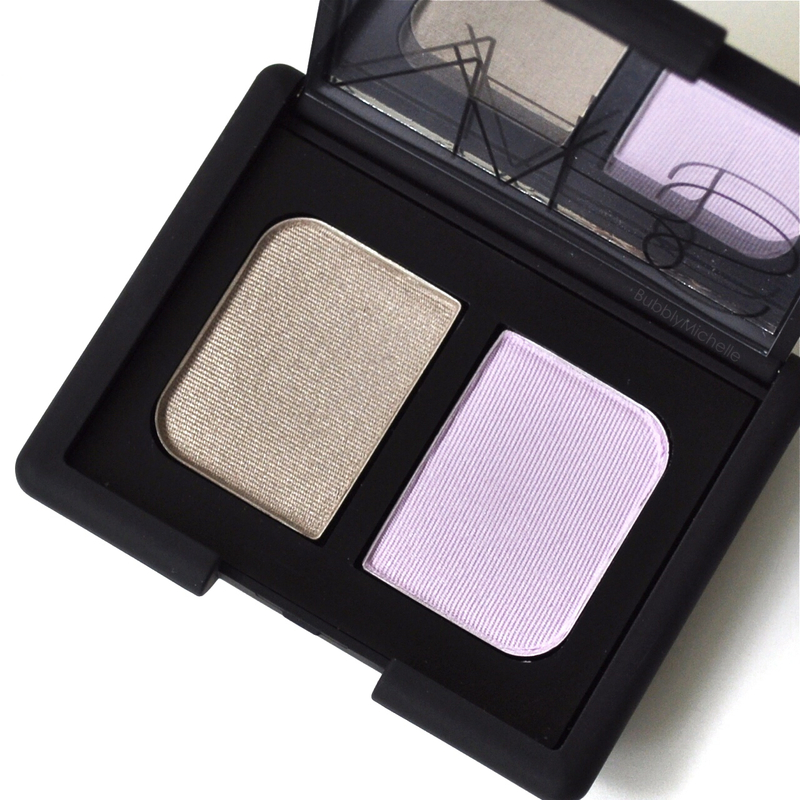 I completely see this eyeshadow duo as an everyday favourite for some. 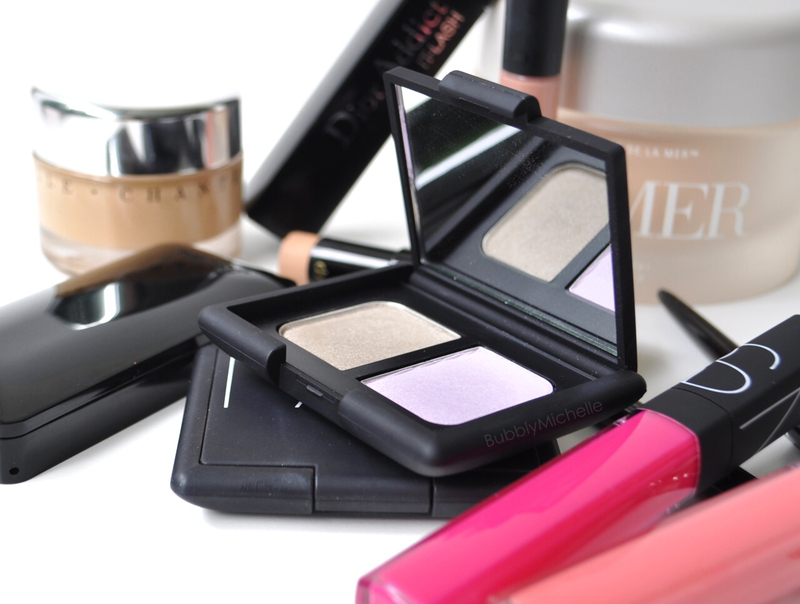 The colours are soft and wearable and not just for summer! I found both colours perform well and can be layered to achieve true to pan intensity without fall out which is a huge plus in my book as I hate sheer eyeshadow! They also last all day! No creasing or fading. 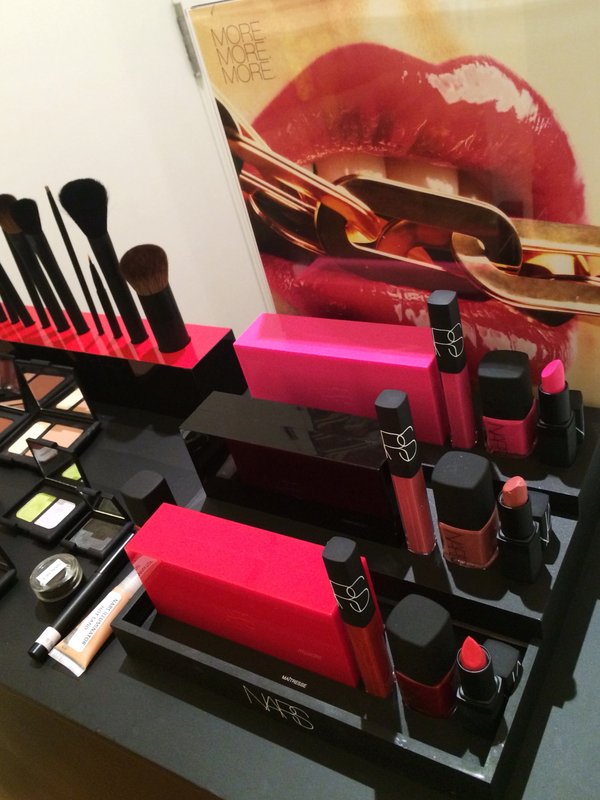 They are also available at Sephora (online) for international customers. The duos come with 0.14 oz of product and retail at SGD 50. 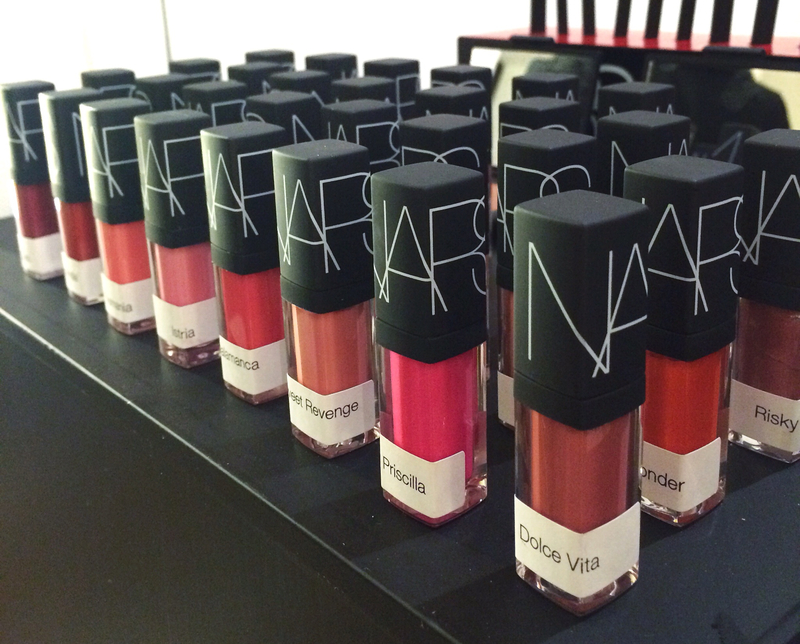 Newly reformulated Nars glosses. A whole sea of them!!! 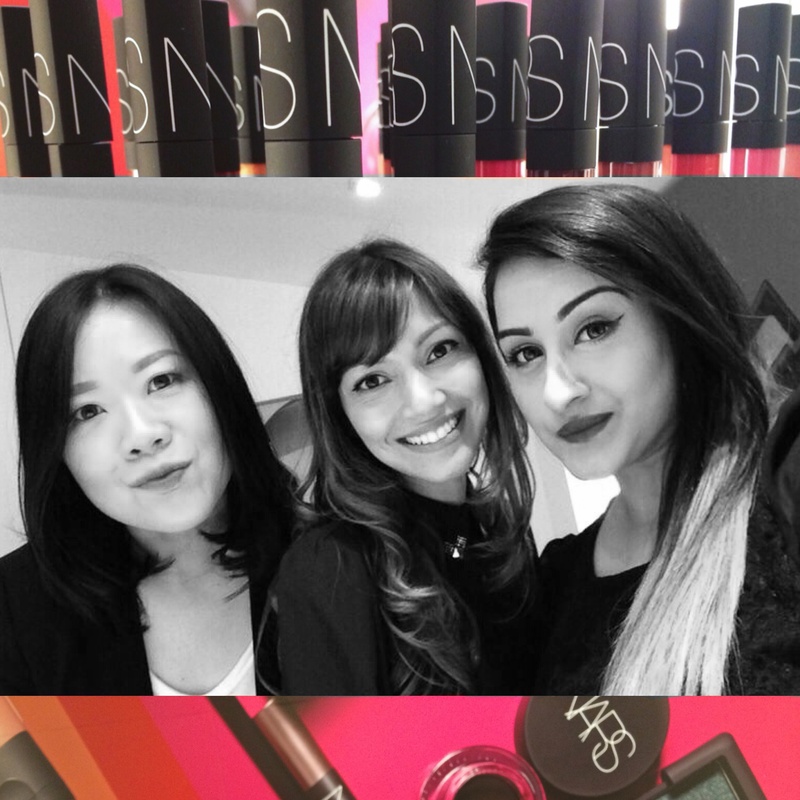 And lastly, my fellow Narsissists! Sophia and Sara 🙂 Who are my usual partners in crime! You created a beautiful look! You are going to love Pricilla. It’s the best gloss from the whole bunch as far as pigmentation and wow factor goes. You wont be disappointed! And I know that colour will suit you perfectly! 🙂 Excited to see pics of your trip on IG! And most importantly, the HAUL 😀 !! love that very girly makeup on you 🙂 these pictures are so tempting , I can’t wait to visit Singapore and see this in person. This is a very cute duo indeed! 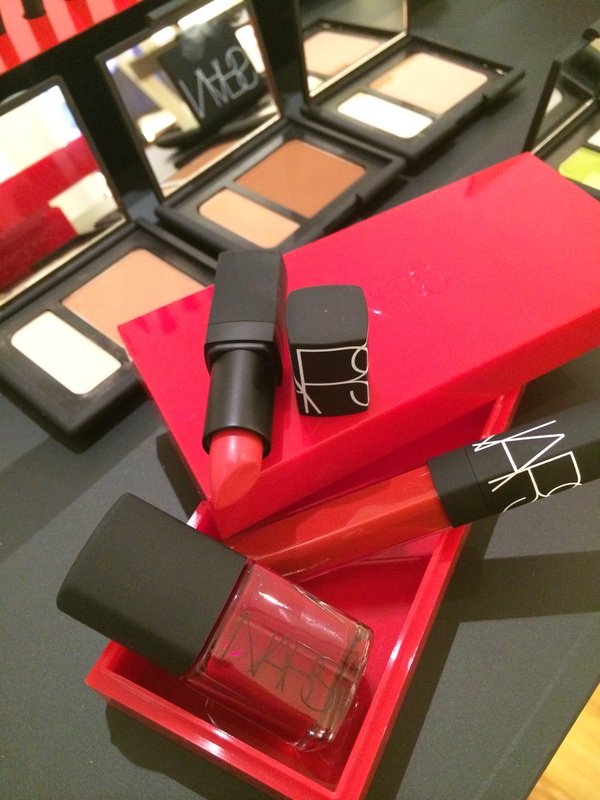 Although I do have other favourites by NARS. Overall their eyeshadows never disappoint! You need to get your hands on the Narsissist palette if you like neutral colours.. It’s excellent value for money. It is 🙂 Already sold out in SG I believe.. I didn’t see it at the counter this time.. guess it was quite popular!